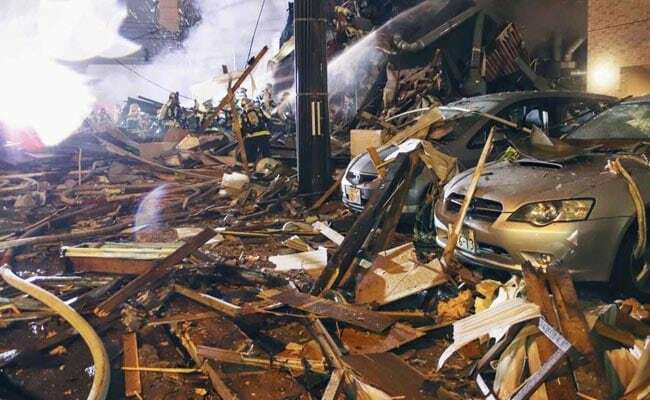 Firemen are seen outside the site of an explosion at a bar in Sapporo on Sunday night in this still image taken from a video obtained from social media. The cause of the blast was still under investigation, police said, but there were reports that it may have been a gas leak. More than 40 people were injured after an explosion at a restaurant in Japan. 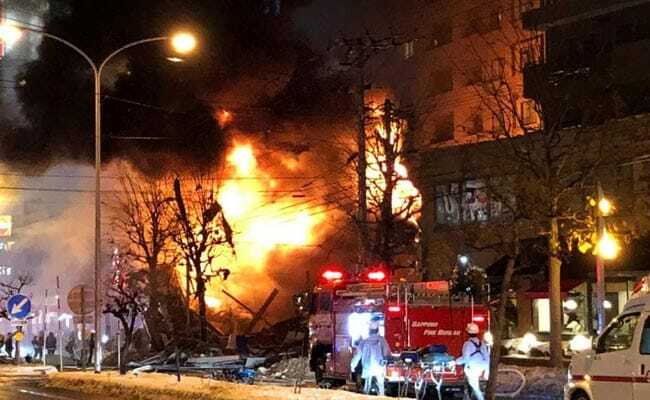 Flames still were smoldering among the wreckage of the two-story wooden building around 1 a.m. Monday local time, almost five hours after the explosion occurred, NHK and other local media outlets reported. The explosion happened at 8.30pm, Kyodo reported. 42 people were injured in the Explosion in the capital of the Northern-most island province of Hokkaido, one of them seriously, it said. The city government had opened at shelter to house dozens of people whose homes were damaged in the blast. Children were injured in the blast, Jiji added, citing police. Many people who felt the blast said they thought it was an natural disaster. "I heard a 'bang, ' which sounded like thunder, and my condo was shaken", a local resident in his 50s told The Japan Times. "I got cuts on my face and hands", a 68-year-old woman who was dining at a nearby restaurant said after receiving treatment at a hospital.